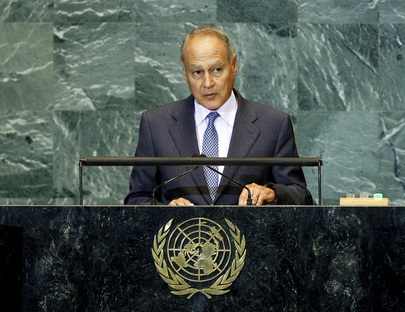 AHMED ABOUL GHEIT, Minister for Foreign Affairs of Egypt, speaking on behalf of the Non-Aligned Movement, said that given a backdrop of international crises unprecedented in nature and scope, a high degree of “conscious, collective work” was required. A common awareness of the effect of those crises on economic, social and political stability was also needed. Current international financial structures should be subjected to change to make them more compatible with the current reality. That change should be both gradual and strategic. It should seek to make the membership of those structures accessible to a larger number of developing countries by granting them a stronger voice. He said that while Egypt was aware of the grave challenges posed by climate change, it believed that addressing the situation afforded new opportunities for advancing sustainable development in developing societies. As President Hosni Mubarak had said during July’s G-8 summit in L’Aquila, Italy, Egypt looked forward to arriving at a fair and balanced deal in Copenhagen. Such a deal should incorporate the aspirations and rights of developing countries, while also addressing the crucial issues of mitigation, adaptation, financing and technology transfer. It should also ensure the fulfilment of commitments made by the developed world. Although all States were suffering from the financial and economic crisis, due to depressed volumes of international trade, tightened international credit and reduced inflows of tourists and remittances, the countries of the South remained the most affected, he said. In parallel with the food crisis, that crisis seriously challenged the preservation of economic and social security. To confront that, there was an urgent need to launch an international dialogue between the exporting and importing countries in the developing and developed worlds, with the aim of fashioning an international response. Among other things, an international code of conduct to review policies governing bio-fuel use should be formulated in tandem with a World Trade Organization-brokered agreement on eliminating the use of agricultural subsidies by developed countries. He said a real and broad dialogue was needed between the relevant parities to confront the energy crisis. Additionally, developmental assistance and investments in the markets of energy-producing developing countries were required. Irresponsible speculation in global markets should also be curbed. A comprehensive assessment of progress towards the Millennium Development Goals was also needed, along with a mechanism to follow up on implementation. Undoubtedly, the countries of the South should intensify cooperation among themselves, and the Non-Aligned Movement would work to enhance that cooperation in coordination with the “Group of 77” developing countries and China. Egypt remained dissatisfied with the human rights architecture in the United Nations system, owing to its politicization, he said. Despite the fundamental reform ushered in by the creation of the Human Rights Council, that politicization hindered the potential to reach consensus on several issues. Thus, Egypt would work to meld divergent views and restore the international consensus that underpinned action in that Council as well as in the Assembly. Towards that goal, it had already begun seeking consensus language for a draft resolution on freedom of expression. That text would strive to establish freedom of expression as a cornerstone of democratic society, while avoiding any depiction of acts of incitement to religious, racial and other forms of hatred as legitimate. He underscored Egypt’s satisfaction with the adoption of a draft resolution to establish an intergovernmental working group on human trafficking by the parties to the Convention against Transnational Organized Crime. His country was also pleased with the Assembly’s work on a global action plan to curtail human trafficking. It looked forward to a successful conclusion of the 2010 Treaty on the Non-Proliferation of Nuclear Weapons Review Conference. It was crucial that the international community support the current active dynamism on disarmament issues, particularly recent positions taken by the United States. Egypt believed issues of regional stability had to be addressed, mainly by eliminating the unjustified latitude concerning Israeli nuclear capabilities. That was particularly true as endeavours were under way to expand the commitments of non-nuclear-weapon States parties to the Nuclear Non-Proliferation Treaty. Tensions still ran high in the Middle East, with the question of Palestine still far from resolution, he said. Over the past year, Israel had shown a lack of necessary political will to engage in serious and credible negotiations. Intensive work to resume negotiations was needed, and the international community should put forward a formula for the conflict’s final settlement. Israel’s commitment to a complete freeze in settlement activity -- in parallel with the negotiating track -- should be ensured to bolster Palestinian confidence. Should a solution on final borders be reached, on the basis of 2008 negotiations, that agreement should be implemented gradually under a time-bound framework, and East Jerusalem should be part of those final talks. Engagement by Israel in such a serious, credible time-bound negotiating process would restore the situation, with respect to other Arab interactions, to the way they had been in the 1990s. Egypt was also closely following the situation in the Sudan, he said, stressing that it was working earnestly with all Sudanese parties. It hoped that unity would be the first and most attractive option for all. Egypt would also continue its tireless efforts to support the Lebanese State. It was watching the deteriorating situation in Iraq and would continue to aid its brothers and sisters there in achieving security, stability and development. Egypt would also continue to work with the countries of the Gulf Cooperation Council to ensure Arab regional security. Concluding, he underlined the decisions of the XV Summit of the Heads of State and Government of the Non-Aligned Movement, saying that, as its President for the next three years, Egypt would work towards implementing those decisions.